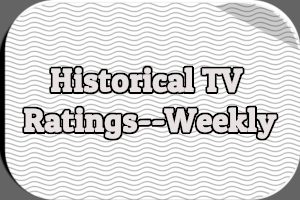 Tales of Lost TV is a monthly column in which I examine a particular TV program or TV series either known or believed to be lost forever. 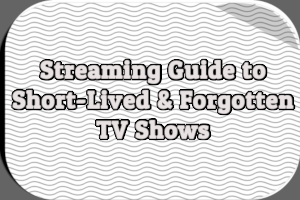 The amount of lost TV is truly staggering–aside from a handful of exceptions everything broadcast prior to 1948 no longer exists. That doesn’t mean it all has to be forgotten. As I’ve said time and time again, the early years of television are murky at best. Information drawn from newspaper listings and industry publications can only provide a glimpse of what television was like in the late 1940s. By mid-1947, NBC had developed a solid slate of live dramatic anthology programming. The network offered dramas (or plays) at least one a week. But network television was still very much in its infancy at the time. It had limited reach and few viewers. NBC’s flagship station in New York City, WNBT, was a hotbed of experimentation in the post-war years. It fed select programs to a handful of other network stations. Kraft Television Theater, the most famous of NBC’s early anthologies, premiered on May 7th, 1947. 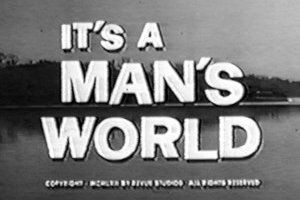 It ran for over a decade before going off the air in October 1958. The network’s other anthology programs are all but forgotten. Television Playhouse (also known as ANTA-NBC Television Playhouse) saw NBC join with the American National Theatre and Academy (ANTA) to co-produce and broadcast a variety of plays. Most were adaptations. At least one featured an original script written for television. Details of NBC’s deal with ANTA hit the trades in November 1947. Around that time, the network debuted Theatre Guild, a dramatic anthology co-produced with another theatrical outfit (the Theatre Guild, based in New York City). On November 15th, The New York Times reported that NBC and ANTA’s first production would be The Last of My Solid Gold Watches by Tennessee Williams. The premiere was scheduled for Sunday, November 30th. For reasons unknown, ANTA and/or NBC decided to delay the debut. An advisory committee consisting of Freedley, Clarence Derwent, Helen Hayes, and Raymond Massey assisted NBC with the television productions. Richard Harrity served as ANTA’s executive producer for Television Playhouse. Television Playhouse ultimately premiered on Thursday, December 4th. The live production of “The Last of My Solid Gold Watches” ran from 9:10PM to 9:40PM ET. Fred Coe served as director. The cast included John Stuart Dudley, Robert Morgan, and Luther Lincoln Henderson. The play aired on NBC’s four-city Eastern network. WNBT produced the broadcast in New York City. It also aired on the following stations: WRGB in Schenectady, NY; WPTZ in Philadelphia; and WNBW in Washington, DC. Lacking in movement, the play nevertheless is very strong in character delineation, mood and atmosphere. The video production, while it seemed at times to have too slow a pace, was undoubtedly successful in setting forth fully dimensioned characters and in recreating for the viewer the sense of despair and negation inherent in the Williams play. The second installment of Television Playhouse adapted Walter Pritchard Eaton’s one-act play The Purple Door Knob. 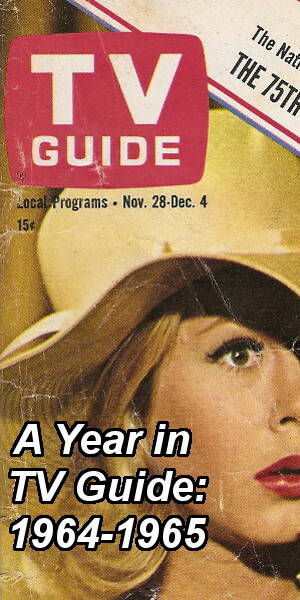 It aired on Sunday, December 14th and starred Judith Evelyn, Ethel Griffies, and Joanna Roos. Jack Gould wrote a lengthy, positive review of the play in The New York Times the following week. He lavished praised on all involved. Requiring for the most part only two players, the play was suited perfectly to the technical limitations of video at the moment. In its simplicity the story was easy to follow and did not call for the wide scope of camera range which so often results in unfavorable comparison of television to the stage and screen. The emphasis was where it should have been–on the vibrant and spontaneous performance of the living theatre. When that performance was projected mechanically on the home screen, there truly came to life the wonder of television. Television Playhouse offered its third production on December 21st. “The End of the Beginning,” adapted from Sean O’Casey’s play of the same name, starred Frank Thomas and Vaughn Taylor. In total, between December 1947 and April 1948, ANTA and NBC presented a total of either 12 or 13 plays. Among those featured on Television Playhouse were Peter Cookson, Noel Leslie, Howard St. John, Stephen Courtleigh, Pamela Conroy, Lillian Foster, and Ben Lackland. Listings for 11 broadcasts can be found in The New York Times. According to The Complete Directory to Prime Time Network and Cable TV Shows, 1946-Present (9th edition), the series aired for the last time on April 11th, 1948. This fits with The New York Times TV listings. However, in Live Television Drama, 1946-1951 William Hawes lists 13 episodes of Television Playhouse, including a final production on April 25th, 1948. As far as I know, no episodes of Television Playhouse exist today. I’ve searched The Paley Center for Media, The Library of Congress, the UCLA Film & Television Archive, the Museum of Broadcast Communications, and the Peabody Awards Collection Archives. NBC may have had kinescope recordings made stations not connected to its limited Eastern network. If so, it’s likely they were destroyed decades ago. Scripts for the series may still exist. Perhaps even a few photographs. Otherwise, this forgotten early anthology series is lost forever. Ackerman, Paul. “The Last of My Solid Gold Watches.” Billboard. 13 Dec. 1947: 16-17. Gould, Jack. “The News of Radio: ANTA and NBC to Give Joint Presentation of Drama Series on Video Network.” New York Times. 15 Nov. 1947. Gould, Jack. “‘The Purple Door Knob’ One-Act Play Provides Television Hit.” New York Times. 21 Dec. 1947: X13. “Video Playhouse.” Broadcasting*Telecasting. 1 Dec. 1497: 16. What do you think of Television Playhouse? Does it sound like something you’d enjoy? Hit the comments with your thoughts. I suppose in 1947 there was still a lot of doubt as to whether television would ever be financially viable, so most radio network executives had little interest in the video experiments done on a tiny budget, and no interest in preserving the broadcasts. I’d like to know who those few hundred folks were who spent several months salary on a huge television receiver that let them see grainy video a couple of hours a day. I wonder if anyone ever thought of saving the memories of the very first television purchasers. (The ones who weren’t writing newspaper columns.) Did they enjoy 1940s programs? Did they tell others about their television watching, or was it a rather embarrassing indulgence they kept quiet about? 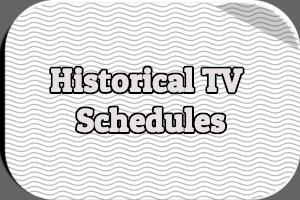 It would be wonderful if a 1940s television viewer had kept a diary that included frequent references to television programs, and the diary was still preserved and waiting to be discovered by a television historian. It’s hard to say without actually being there, but from the reference books I’ve read, it seems that little of what was on then was memorable. 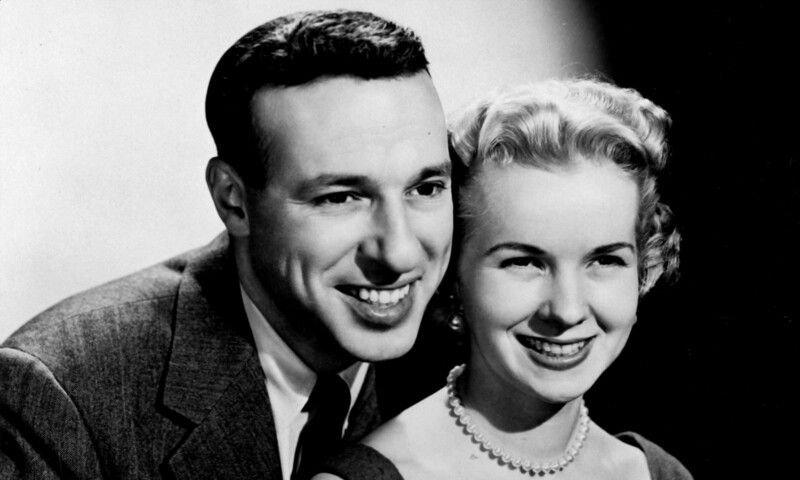 The only shows from that year that sustained themselves into the ’50’s were “Howdy Doody” and “Meet The Press”, the latter of which is still on the air. Also, I’ve seen kinescopes from 1948 and 1949 and nearly all of them are forgettable. That doesn’t mean all the shows were bad, just that nobody could really do anything with so little money for so few people. I understand that much of early television was unremarkable. But back in the 1890s a 15 second movie showing someone walking down the street was a great wonder. In the early 1920s hearing a voice coming from a radio was exciting. In the 1940s television receivers (TV sets) were very expensive and there were only a few hours of programing each day. But a few hundred people bought televisions and presumably watched those early low-budget programs. I’d be interested in knowing why people bought those expensive television receivers and what they thought of early shows. Were they excited about having anything broadcast into their homes, or did the novelty wear off quickly? Again, it’s hard to say without being there, but from what I’ve read, TVs in the ’40’s were just a way to prove how rich you were. The screens were tiny and the reception was horrible. Remember , digital TV only existed in science fiction back then. Karen, you made a good point about Sullivan & Berle. Clearly, they had an influence that still resonates today, just as “Meet the Press” does. However, what little exists of their early work is not that good. As far as modern tv goes, a lot of network shows are dreck, but there is a lot of good stuff out there. Still, I can’t deny some of the old stuff was better. I have a book called The Best Years by Joseph Goulden, which is about the US in the years immediately following World War I I. There is a very good chapter about early television in it, which includes reminiscences of early TV viewers, old TV schedules, etc. It’s possible that if the plays existed they wouldn’t be under the Television Playhouse banner. Assuming they’re plays from theater then the rights would have been split among the copyright holders of the various plays. It would be easy enough to find scripts for the plays but not necessarily the TV versions. I suspect that many of them, if they were decent enough, would have been re-aired as part of Kraft Theater. But if they used them, they likely were just reproduced the same way early Honeymooners episodes were remade in later years. They would have at least the TV scripts to work with. Most early TV was essentially TV with video. It allowed them to broadcast the audio of the show as radio programming, but it was also what they knew how to do at the time. And when it came to plays, people were use to the transient nature of plays and the fact that they didn’t tend to be recorded but instead were re-performed. It was simply a different mindset. I suppose it’s similar to YouTube. The quality of the material isn’t that great and people assume it’s going to be around forever so they don’t feel a need to record it.